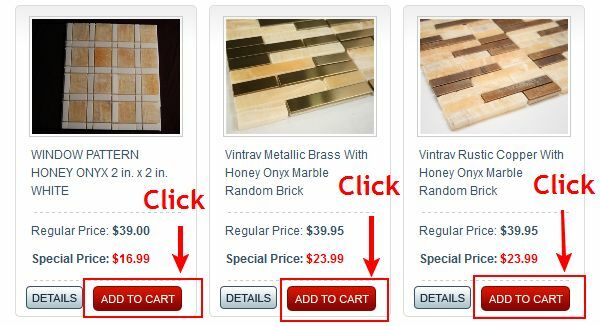 Mosaictiledirect.net is Standard Checkout easy shopping cart. 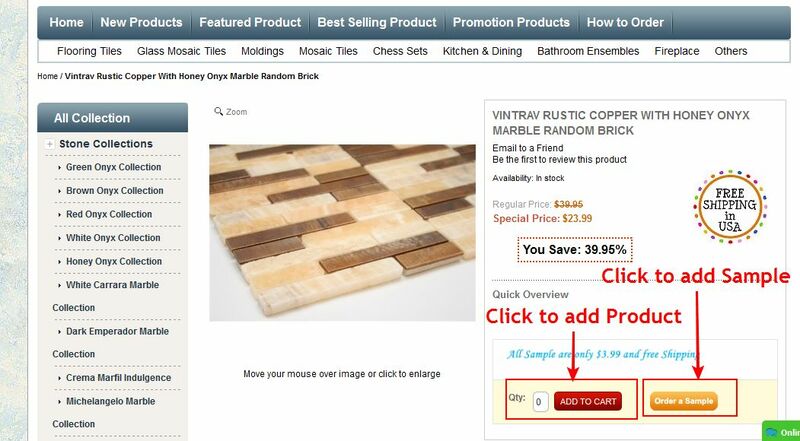 At First you have to choose your product then you will see "Add to Cart" Click on it if you want to purchase this product. 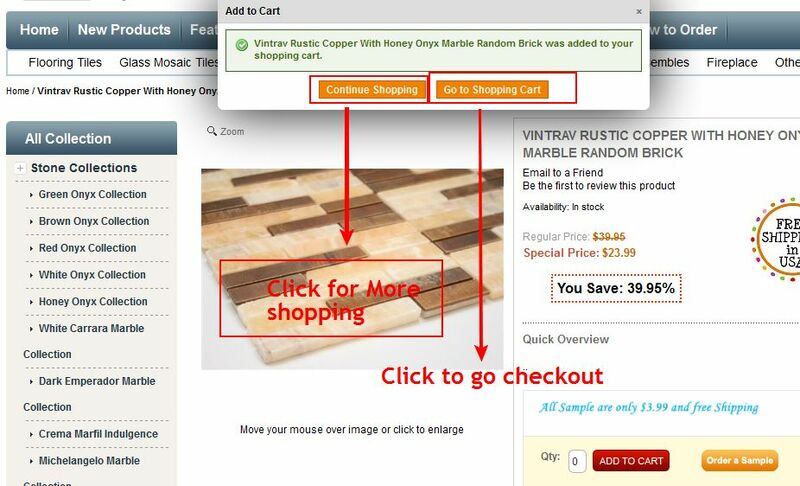 then you will get a popup like below. 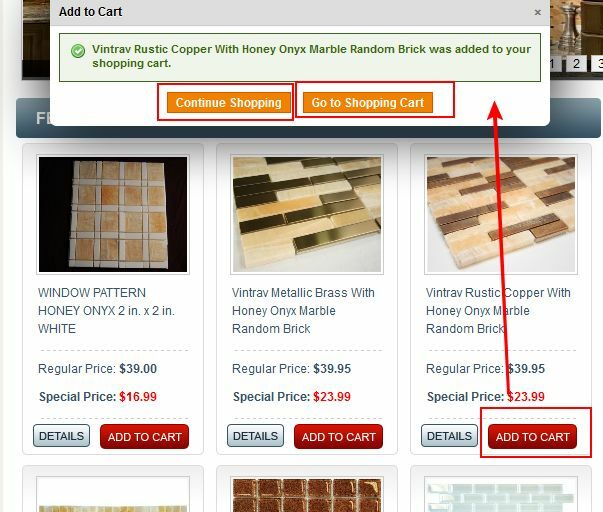 If you want to Continue shopping please Click on "Continue Shoppong" and If you want to Checkout then click on "Go to Shopping Cart"
You can add product to cart in the same way like previous... also you can add sample product from product details page by clicking "Order a Sample"
then You will get Cart page then Click on Checkout on Cart page and Put necessary details information for shipping and billing information then your order will be done and we will contact with you shortly. if you have any confusion and then you can call our phone number directly or live chat.